Tanzanite is very precious, rare and holds a unique place in all the gemstones. Tanzanite is the gemstone which is used in birthstone as well. Tanzanite is lovely, timeless beauty and it can be the choice for weddings rings, engagement rings, pendants. Tanzanite Jewelry is the special alternative for the traditional precious gemstones Jewelry. Tanzanite is very hard when naturally found, so they are durable as they are luminous. Tanzanite Pendants, One of the reneowed way to stand-out of crowed and being a spotlight. When shopping for Tanzanite Pendants online, one must know how to tanzanite’s are graded and understanding the terminology can help you make the right choice. As a gift, few presents have the dramatic impact of a Tanzanite Pendant set as in valuable metal. As a fashion statement, Tanzanite jewelry is always known for stylishly Diva. 1. Learn the Basic about Tanzanite: The 4 C’s, as in diamond, and is also applicable in tanzanite as well. The 4 C’s are: Color, Clarity, Cut and Carat. Tanzanite has the same pricing as similarly qualified emeralds, sapphires and rubies. The important thing to note is that more sellers are offering fake tanzanite jewelry, because tanzanite is flattering progressively rarer. 2. Color: Color of tanzanite is one of the important Factors that make a tanzanite very popular in the world. Tanzanite combines the cool azure depth of sapphire with the majesty of amethyst. Tanzanite tends to range from low blue with no hints of mauve to deep violet blue. When the stone have more violet the value of stone is high. The Tanzanite gemstone color grade can be determined with the renewed lab “GIA” grading syetem. 3. Cut: The cut is used to define the tanzanite beauty and in what shape tanzanite has been crafted. Many tanzanite cuts are possible, so jewelers have many imaginative shapes in the tanzanite jewelry. 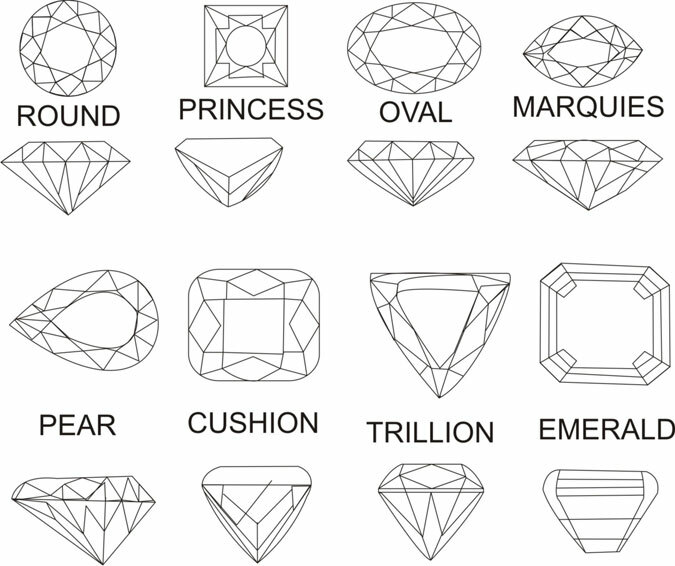 In the tanzanite some of the known popular cuts are: Emerald, Round, Pears, Cushion, Oval, Princess and Marquise. 4. Carat: Carat is used to describe the weight of tanzanite. If the carat is high and color and clarity are good, It would be best recommendable tanzanite to for the investment. 5 Clarity: One of the most important facts in tanzanite jewelry is clarity of tanzanite. A flawless tanzanite is bereft of any kind of inclusions, minor and major. See through, with a deeper blue color, this type of tanzanite is most desirable in the market and on our online shop too, and thus the most prized possession. Positioned between the best and the better, this category of tanzanite is one of the most sold on our online shop, too. This may contain minor inclusions that can only be viewed through a jeweler’s magnifying loupe, which magnifies the tanzanite by ten times. Eye clean gems with inclusions can easily be seen with 10x magnification. No negative effect on value. 6. Read the Products Details Carefully: Before Buying the products read the details carefully and then proceed to further transaction. 7. Chose the better Metal: Metal selection and preference is also the cost effective aspect. Usually 10k white gold is lower priced than 14k white gold. Tanzanite is looking fabulous with the white gold. But Tanzanite Pendants can be set in 925 sterling silver or Yellow Gold too. 8. Read the Return Policy: Before placing the order please read the return policy carefully.